Besides the highlights, the great food and wines, the events and holidays are definitely a good reason to visit the booming city of Valencia! Many events and holidays are being held in Valencia throughout the year. If you already are in the city, it might be interesting to know what is going on right now as well. Are you planning to go to Valencia soon or are you already in the city? There are a lot of activities you can do! A flamenco performance, an intimate jazz concert, a foodtruck festival or a vintage market. A weekly overview of all the events going on in and around Valencia city, you will find in our calendar. Music festivals, sport events, traditional festivities… Valencia has so much events to offer you! You don’t want to miss out on a real Valencian festival? Or do you like sports and are you looking for a marathon? Take a look at our events page to see what is going on in Valencia throughout the year. There are many public holidays in Spain and therefore also in Valencia. Besides, Valencia also has its own public holidays. To experience the Spanish and Valencian culture during your trip here, it may be nice to attend one of these traditional moments. Las Fallas is considered the biggest festival in Valencia and one of the most unique festivals in Spain. It stands for: fireworks, churros (typical pastry), concerts, street parades, street performances and the enormous impressive fallas (sculptures). A big amount of people even visit Valencia especially for Las Fallas! When you are in the city during the festival, we definitely recommend you to take a look what is going on! Well, actually to be fair, it’s hard to miss when you are around! There is no escaping Las Fallas! You want to go to Valencia, but when is the best moment? Should you go for the long summer days or visit Las Fallas just before spring time? 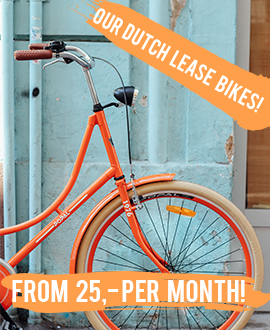 Or maybe you think about soaking up the last sunrays in autumn or winter time? Valencia has an average of 300 days of sun per year, so actually just pick one out of the four seasons and you will enjoy your stay in Valencia anyway! Valentine’s day, the day for romantics to treat their loved ones with a big heart, chocolate and bears. Do you prefer to take your partner on a romantic trip or weekend, but don’t you know where to go? Valencia is where you should be! The city has very romantic things to offer. We will give you plenty of tips for romantic activities, spots and restaurants and accommodations in the city. Your company will definitely have even more butterflies after this visit! 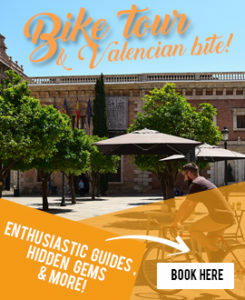 Are you visiting Valencia and do you really want to get to know authentic Valencia? Learn to cook paella from local Pablo or join our flamenco class with local Lourdes! But we have more fun group activities to do for you. 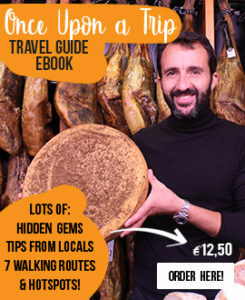 What do you think about a tapas tour, eating all these delicious Spanish dishes througout the city. 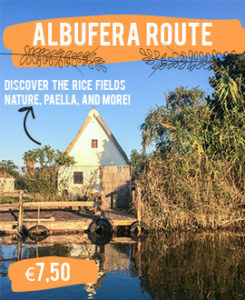 Or a boat trip in Albufera, discovering this beautiful nature park just outside of Valencia. The famous paella rice grows there! 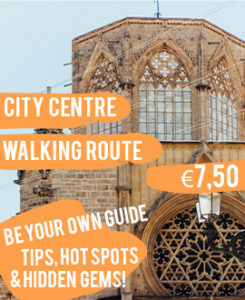 We can’t wait to take you on a tour or excursion to show you beautiful Valencia!